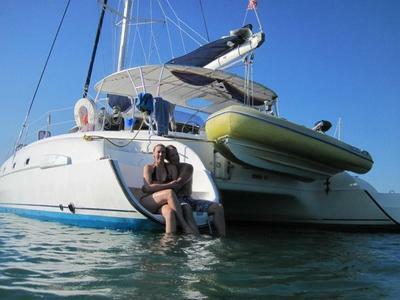 Shenanigans is a large and stable Fountaine Pajot Bahia sailing catamaran. She's 46' long and 24' wide with virtually no heeling. Her 4'-6" draft allows us to get into almost any location, at just about any tide height. When at anchor, the 12' tender will easily get you to shore for exploration. Once off the dock, the options are endless. If you'd rather stay at the dock, Shenanigans is also available for dockside events for up to 25 guests. 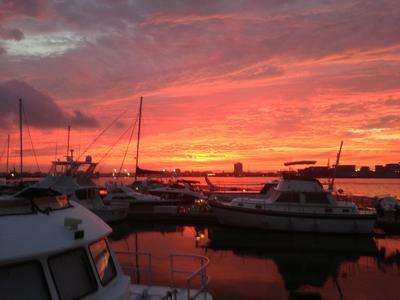 Shenanigans is a USCG documented charter vessel with comprehensive charter insurance and all charters are with a USCG licensed captain aboard. Check out our Gallery. Review our Guestbook. 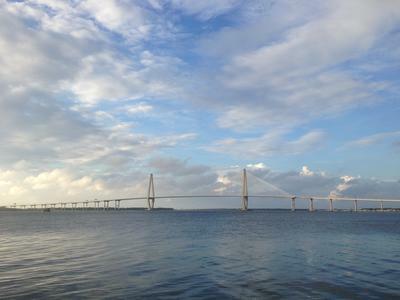 See for yourself why Shenanigans is the premier private sailing charter option in the Charleston area. We hope you choose to sail with us. What a picture perfect day. From the very start, we were set up for a beautiful day out on the water. Clear, concise instructions for what to expect, what to being, how to get there, and easily prepared for. When we arrived at the dock, we almost couldn't believe how large and beautiful the boat was we were going out on. It truly was a ship! We booked a trip during Memorial Day weekend and we weren't disappointed. We brought some snacks, makings for pb&j, and some beverages of choice and were welcomed aboard Shenanigans. From that moment, we were treated like old friends or family as Captain Gaelen and Sherry gave us a tour, showed us how to work the heads, and taught us where to stow our stuff. We had a low key day planned of sailing out to a fun island, setting anchor, picnicking, sun bathing, and coming back in time for dinner. The whole time we were made to feel welcome, had every (inane) question answered, were allowed to actively participate in the operations of the yacht, and to relax when we wanted. All the fittings and riggings were shiny, polished, and well maintained. The captain was able to clearly explain his intent and the rationale behind each maneuver. We had a fabulous, worry free trip that made us feel like we were living a short-lived fantasy on a majestic yacht. If we ever make it back to Charleston, we'll be visiting them again. In fact, we're contemplating having them come to DC (our home town) to host a weekend of fun for our friends and family. Unbelievable experience. Couldn't recommend more highly! We enjoyed a harbor tour with friends. 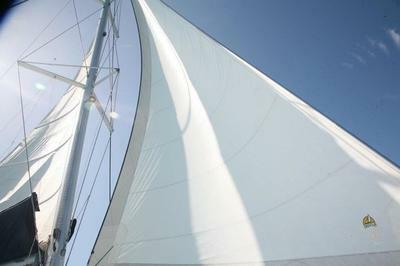 The catamaran is beautiful and well equipped for relaxing in the sun and enjoying the views. The captain, Gaelan, was knowledgeable and professional. I highly recommend this charter cruise to anyone who wants to experience Charleston from a difference perspective .......the water!